Becoming a member of a reputable association in your industry is a huge plus. Whether it’s the National Association of Home Builders or the National Electrical Contractors Association, whatever your trade you’re likely to find an association that you can join. Many national associations have regional and state branches that your business can become a member of, too. First and foremost it’s important for your business to have a website, however more important than that, is that you have a good website. It’s 2015, which means the last time your website should have been updated was last month, not 1999. Consumers are becoming experts at online research, which means chances are they’re going to judge the quality of your website to determine your trustworthiness and the quality of your business. Not sure how to design and manage a website? 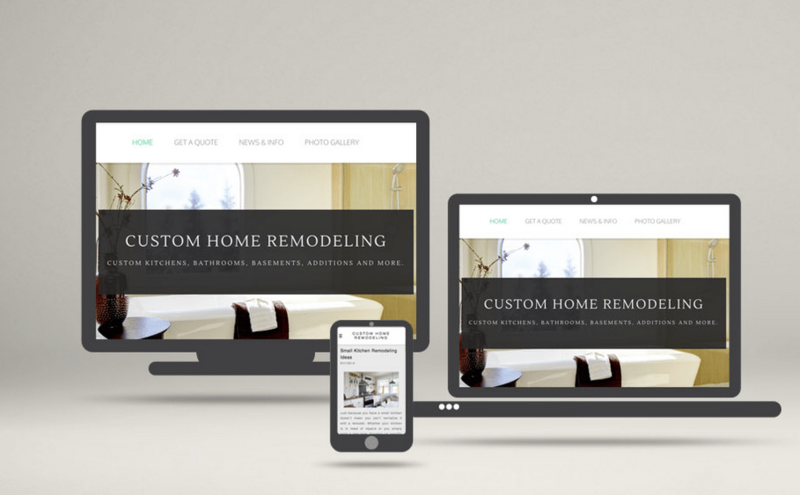 There are plenty of services available that can help make your business visible online, including Totalhousehold PRO! Consumers are information hungry so the best thing your business can do is to fulfill that need. Adding a blog to your website that offers original and informative content about your trade will further position your business as an industry expert. Whether it’s an article a week or an article a month, custom content can go a long way. Social media is a very important business tool that you should take advantage of. However, it’s one thing to have a Facebook or Google+ page and a whole other thing entirely to maintain and grow these pages. Without maintenance your pages lose credibility and are essentially pointless. Social media is also a way for your business to make personal connections and have conversations directly with current and potential customers. By fully taking advantage of social media, you will position yourself as not only an industry expert, but as a trustworthy business. Your local chamber of commerce is designed to support local businesses, so why not take advantage of it? Becoming a member and getting involved opens the door to local business networking events and opportunities that will get your business in front of potential customers and build a trusted relationship with your community. To get started, check out our services page for website design, management, custom content creation and social media management details. To learn more about the services we offer and to get a free marketing consultation for your business email us at info@totalhousehold.com or call us at 1-800-325-4315.